People frequently reading my blog know that I love to improve the things presented here. 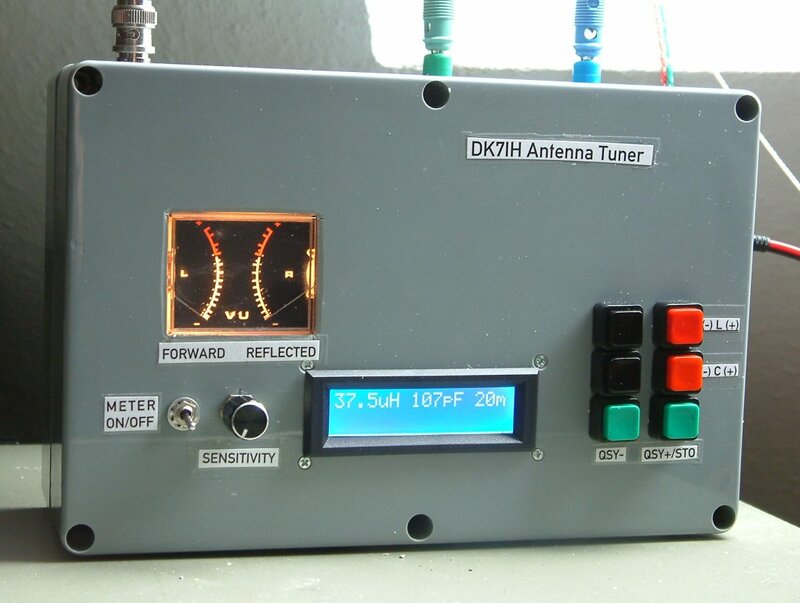 This is revision one of my semi-automatic antenna tuner for QRP. I found that the reading of the SWR value on the LCD is a little bit uncomfortable. So I decided to use an “old-style” analogue meter. This one has been pulled from a home stereo amplifier. The problem with the installed directional coupler is that the amount of energy and so the induced voltage is a reverse function of coupled frequency. Thus an operational amplifier has been added to amplify the DC voltage from the directional coupler. A 50k stereo potentiometer regulates negative feedback an so reduces the op’s gain. ‹ PreviousDX with QRP – It really works!